Making predictions, as common as they are at this time of year, are notoriously unreliable. Add China into the mix and fate will be tempted to a dangerous degree. But there is one thing we can say about China in 2019 that is definite: The CCP will celebrate its 70th anniversary of coming to power in October 2019. 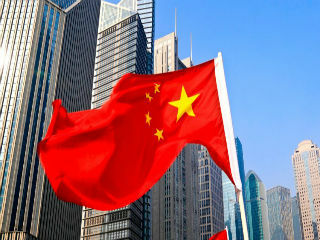 In the real world, that could mean that much-needed reforms of the Chinese economy are delayed. After all, initiating them risks social unrest in the run up to a key anniversary. This is all the riskier as everywhere you go in Beijing, there are signs of a slowing economy. Shops are closing, factories are letting people go, family holidays are cancelled and there is a marked drop in property prices. I live in north Beijing, in an area beyond the 5th ring road. There are no shops selling designer brands. You are considered successful in Beijing if you live inside the 4th ring road. The nearest subway is a 20-minute walk, as are the nearest shops. This in no way could fall into the “des-res” (=desired residential) category. There are six residential blocs in my compound, each with 100 flats. These flats were originally built to house elderly inhabitants from inner city areas. But many of their children, now adults with their own families, thought it might be a good idea to bring their parents in with them and rent out the new flat. Judging by the lights that are on at night, 70% of the apartments there are empty and have been for more than a year. Plans for two nearby shopping centers have been put on hold because there are so few potential customers. Even in northern Beijing, the most affordable part of the Chinese capital, signs of a downturn are obvious. Talk to economists and financial specialists and you are told the fundamentals show signs of an improvement that is “just around the corner.” But then, these people are often paid to be inveterate optimists. A better indicator for the economy’s well-being may be to talk to the local real estate agent. In my area, they have left 11 of their 23 members of staff go in the last year. Just as telling, my landlord has not increased the rent, the first time this has happened in my eight years in the Chinese capital. Officially, China’s economy is growing at 6.5%. But car sales, a key indicator of growth, have stalled. China has become the world’s largest car market, but sales have gone into reverse for the first time since 1990. That’s the year Saddam invaded Kuwait, so over a generation ago. The Chinese stock market, meanwhile, has seen $2 trillion wiped off share-price values in a year. The most important challenge is that China’s unwritten social contract is under strain. After all, the lack of political freedoms can be accepted if you are the first in your family to own a flat, a car and washing machine and send your child to university. But when your child can’t get a job upon graduation and nor can their friends, then the Communist Party has a problem. Before anyone in the West gratuitously rejoices about this turn of events, remember this: If China has a problem, so does the global economy. It’s like that old joke: You owe the bank a million, you’re in trouble. If you owe the bank a 100 million, they are in trouble. And if you owe the bank a 100 billion, we are all in trouble. That is why, if China sneezes, the rest of the global economy feels the symptoms of flu. Chinese journalists have been told to refrain from what the party called “bad reporting” on the economy and measures have been introduced to shore it up. Consumers have been given tax cuts to encourage spending, jobless young people receive subsidies and companies that do not lay off people get insurance refunds. Not a prediction, but in 2019 China will have to tackle not just a slowing economy, but also a protracted trade war with the United States. As if that weren’t enough yet, demands among the population for the benefits of progress, better environmental, labor and health protections are growing louder. The choice for China’s leadership in the run-up to the anniversary is clear. Infrastructure spending funded by debt to maintain the headline grabbing 6.5% bottom line of growth — or reforms that will increase unemployment. “We’ll see,’’ my landlord said to me as I signed the contract, “if your rent will go up next year.’’ He didn’t want to predict, and I didn’t want to tempt fate.